Want to buy a house? This town in New Zealand offers one -- for only $165,000. And if you think that’s crazy, get this -- it comes with a job. Enter Kaitangata -- a town that has about 1,000 vacant jobs that they’re desperate to fill. And of course, a lack of job takers means there’s a lack of residents. So much that the asking price gets you a 1/4 acre plot of land, straight from the government. Even without the employment thrown into the deal, that’s over $20,000 cheaper than an equivalent lot in the US. Also, that’s a lot less than half of the regular New Zealand price (which can cost up to $400,000). The town (known as “Kai” to its residents) is a quaint, cozy town of 800 people. 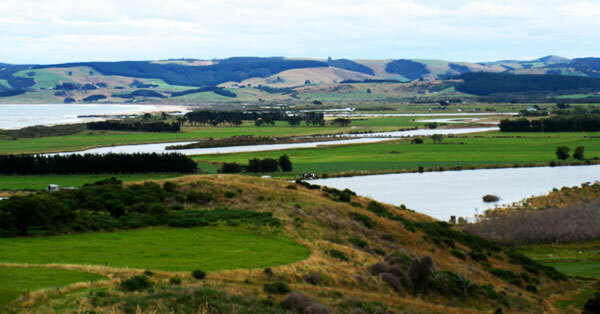 It sits on the east bank of the Clutha river and is fairly close to the coastline. It is also known for its verdant landscape. The sub-tropical climate is great, offering amazing weather for most of the year. If you’re considering this offer (as you should! ), you can move in through a New Zealand Resident Visa. The Kaitangata offer will be open for you then. After two years, you should be in line for a permanent residency. Oh, and if you don’t have the $165k lying around, the Bank of New Zealand will be happy to loan that to you, at an interest rate 0.75% lower than the regular. You’d better hurry, though -- more than 9,000 applications have been sent since the offer was announced. Who says a deal can’t be too good to be true?